Most sparrows feed on or near the ground as they pick up insects or fallen grass seeds. Some scratch away leaf litter to find food. Towhees (Pipilo) use a distinctive double scratch when feeding: they remain stationary while scratching backward simultaneously with both feet. The conical bill efficiently handles and shells seeds; large-billed species can crack hard seeds that many other birds could not eat. Some species, especially seedeaters (Sporophila) and grassquits (Volitinia and Tiaris), feed almost exclusively on seeds; they cling to tall grass and pick seeds from seed heads. Although seeds are an important part of the winter diet of almost all species, during nesting seasons most feed insects to their nestlings. Fruit is eaten when available. 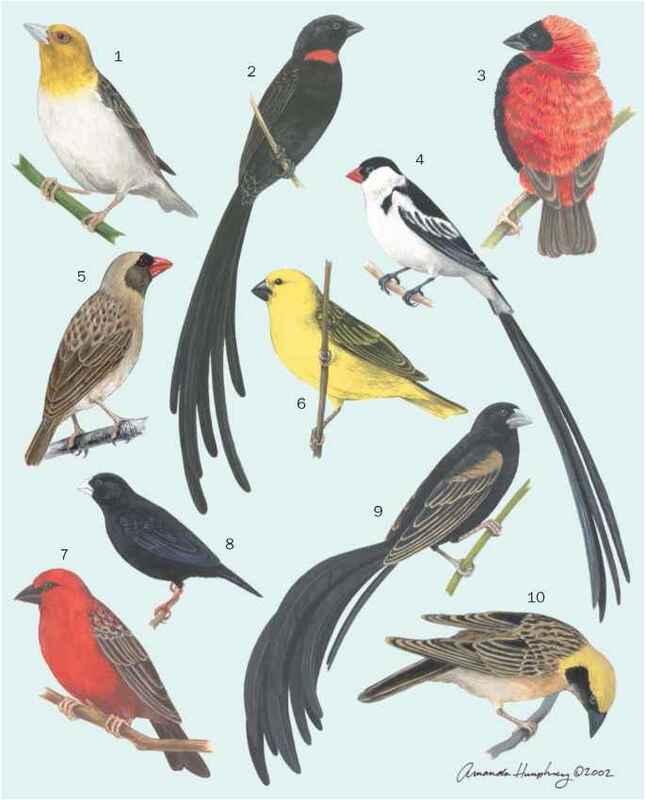 Woodpecker finches (Cactospiza pallida) of the Galápagos Islands hold a cactus spine or stick in their bill and use it to pry insects and their larvae from dead branches.